How to find out where you are with your inventory and how you're doing with reaching your goal. What is the average age of our used car inventory, how to address this and make course corrections. 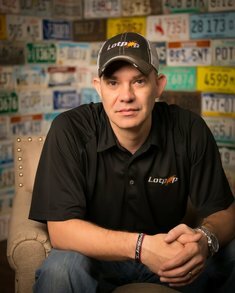 Jasen Rice, Owner of Lotpop, a company that helps dealerships manage their inventory processes, marketing and internet process as their virtual Director. A 20 year automotive veteran, Jasen spent 8+ years on the retail site running award winning Internet departments and 8+ years on the vendor side as a Performance manager for vAuto that allowed him to visit hundreds of dealers across the nation training them on used car inventory management. He has helped many dealerships greatly increase their used car sales. Jasen was featured on the cover of Digital Dealer in Oct 2005 and awarded the 2006 AAISP (Association of Automotive Internet Sales Professionals) Professional Excellence Award. He is currently a columnist for Dealer Magazine and featured blogger for AutoSuccess Magazine and has spoken at several conferences on used car management and internet marketing. Lotpop is an automotive dealership consultant and assistant. Think of us as your Virtual General Manager who can oversee everything pertaining to used and new car marketing and internet follow up processes. You don't have to choose between gross and volume. Our expert team helps dealers take control and maximize both. Lotpop was created to help set up and monitor effective, proven processes and will manage them to get dealerships the results they expect from their internet and used car departments.